Photographed by Manpreet Singh. Styling by Shirin Salwan. Make-up and hair by Looks Salon, New Delhi. Model courtesy: Surelee Joseph. Location courtesy: Shangri-La’s Eros Hotel, New Delhi. Polkhi neckalce with cut and uncut diamonds in emerald setting (used on head), from Shree Raj Mahal Jewellers, New Delhi. 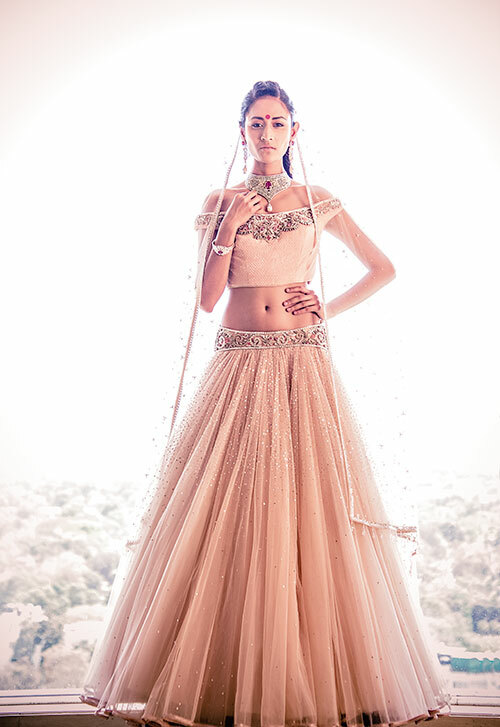 Gota patti detail lehnga choli, by Anita Dongre, Mumbai. 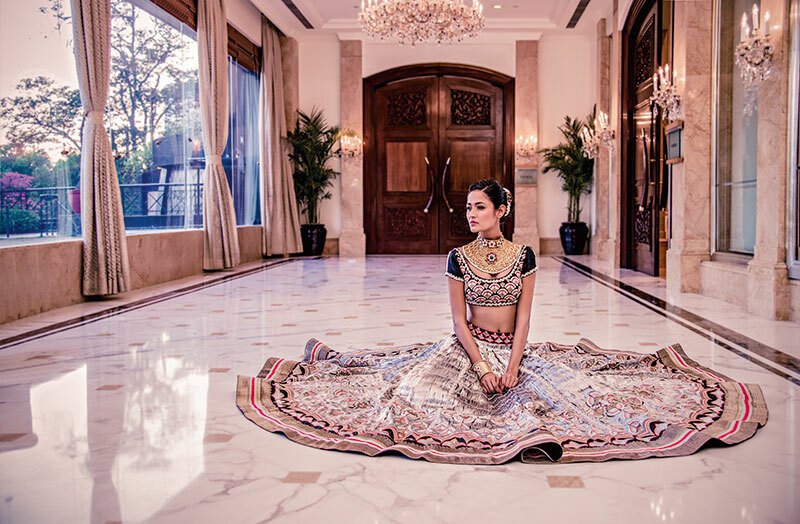 Sheer lehnga and dupatta with embellished choli, by Tarun Tahiliani; necklace, earrings and bracelet set with curved diamond and coloured stones in 14k white gold, from Multani Jewellers. Both in NewDelhi. 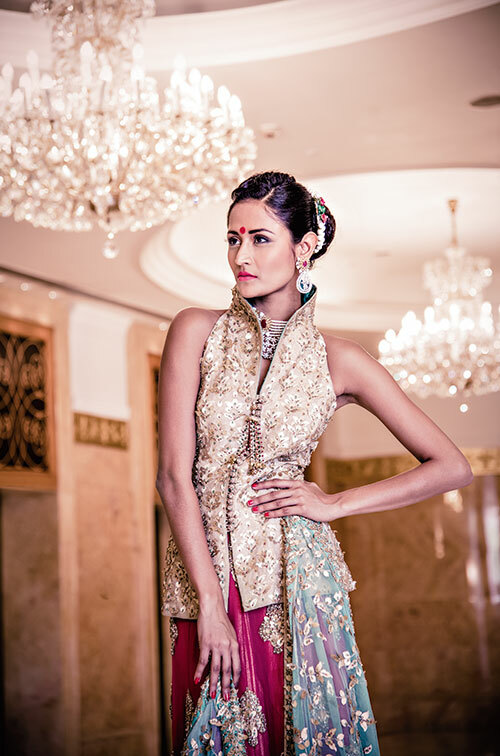 Embroidered long jacket with sheer underskirt, by JJ Valaya; necklace, earrings and cuff in 18k yellow gold with intricate floral motif detailing, all from Multani Jewellers. Both in New Delhi. Black velvet and gold lace sari, by Varun Bahl; yellow diamond and vintage polkhi set, from Hazoorilal Jewellers, South Ext. Both in New Delhi. Velvet kurta with sheer sharara, by Sabyasachi; ruby, emerald and white pearl in 22k gold rani necklace with matching earring and gold cuffs, all from Manohar Lal Jewellers. Both in New Delhi. 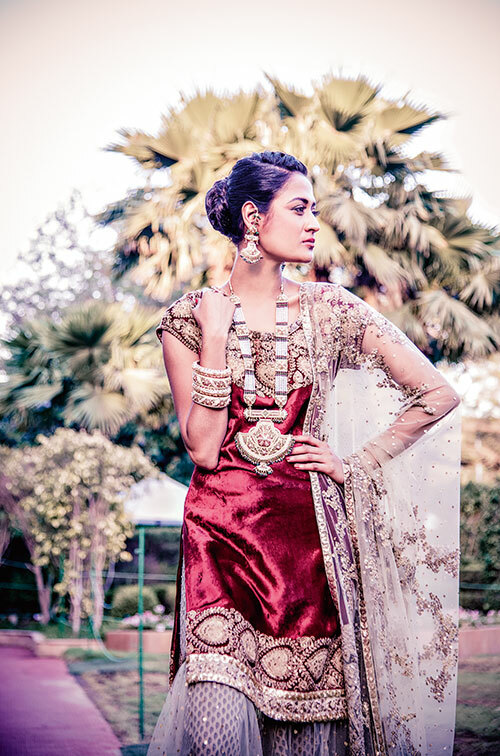 Gold top with embroidered red lehnga, by Ashima Leena; choker and earrings with round, pear and rose-cut dimaonds and oval rubies in floral motifs, both from Hazoorilal Jewellers, South Ext. Both in New Delhi. 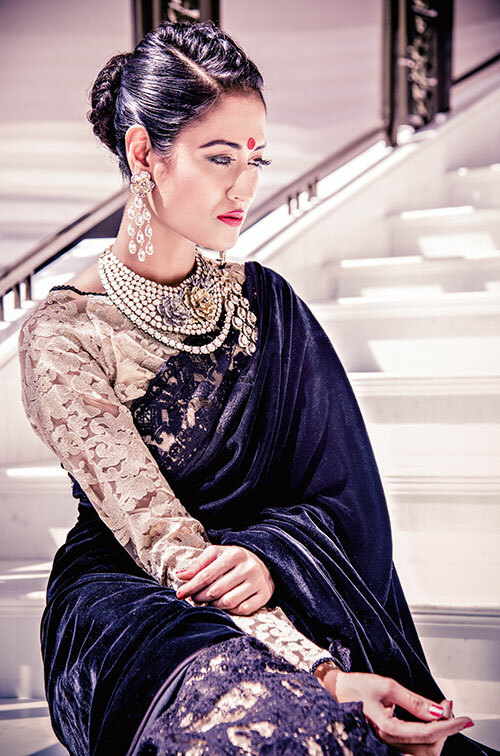 Black lehnga choli with silver cord detailing, by Pia Pauro; choker and cuff in gold, white kundan and ruby with high-end matte finish, both from Shree Raj Mahal Jewellers. Both in New Delhi. 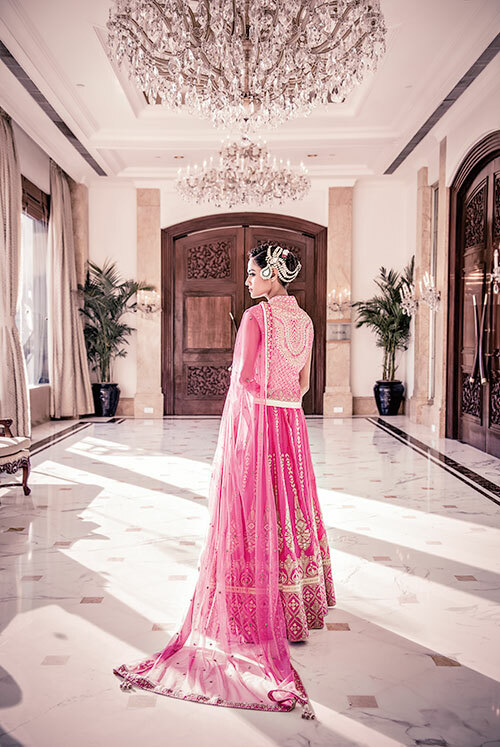 Verve Wedding Diaries #20: What does it take to be a Sabyasachi Bride?